In ancient Greece (469 - 399 BC), Socrates was well known for his wisdom. 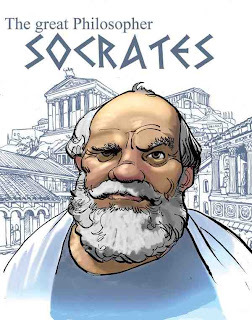 One day the great Philosopher came upon an acquaintance, who said excitedly, "Socrates, do you know what I just heard about one of your students?" "Wait a moment," Socrates replied. "Before telling me anything I'd like you to pass a little test. It's called the Triple Filter Test." Now let's try the second filter, the filter of Goodness. Is what you aren about to tell me about my student something good?" "No, on the contrary..." "So," Socrates continued, "you want to tell me something bad about him, but you're not certain it's true. You may still pass the test though, because here's one filter left: the filter of Usefulness. Is what you want to tell me about my student going to be useful to me?" "No, not really." "Well," concluded Socrates, "if what you want to tell me is neither true nor good nor even useful, why tell it to me at all?" It also explains why he never found out that Plato was banging his wife.